For the men and women who are our heroes, and who serve our country and fellow Americans, there is a home mortgage designed just for you! VA loans are different from any other type of home mortgage. The VA loan is guaranteed by the U.S. Department of Veteran Affairs. This provides a lender with protection against loss if you fail to repay the loan. For you, this means there are several benefits which include lower costs and no down payment on a purchase. Closing costs which are lower than other financing types. Although mortgage insurance is not required, the VA charges a funding fee to issue a guarantee to a lender. The fee may be paid in cash by the buyer or seller, or it may be financed in the loan amount. The amount of the fee is determined by the type of veteran, whether you have used your VA entitlement in the past, and if you choose to pay a down payment. To find out more about the options available to you, your mortgage professional will obtain your certificate of eligibility from the VA. At that point, we will discuss your options and answer any other questions you may have about taking advantage of your rights as a Veteran when obtaining a mortgage. 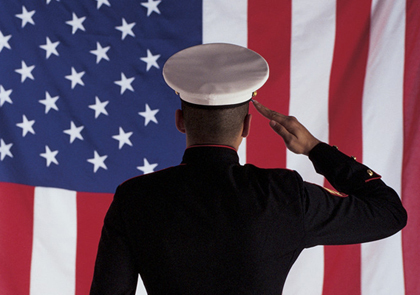 Give us a call today to find out how to benefit from the VA loan options available to you!